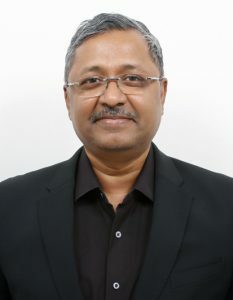 Sabre Corporation (NASDAQ: SABR), the leading technology provider to the global travel industry, has appointed Jaya Kumar K as Vice President& Managing Director, for Sabre Global Development Center in Bangalore, reaffirming its commitment to transforming the future of travel and strengthening Sabre’s presence in India. In his role, Jaya will be responsible for propelling the Centre’sinnovation capabilities, as well as attracting key talent to delivercutting-edge technology solutions. “As we continue to push the boundaries of technological innovation at all levels of the travel industry, we are pleased to have Jaya join the team to drive our development strategy forward, and ultimately, enable us tobetter serve our clients.The Global Development Centre in Bangalore is essential to our success,and I am delighted to have Jaya onboard to spearheadSabre’s efforts in driving the industry toward next generation retailing, distribution and fulfillment,” said Louis Selincourt, Senior Vice President, Sabre Global Development Center Operations. Established in 2005, the Global Development Center in Bangalore has been driving innovation for Sabre’sglobal customer base of over 425,000 travel agents, 350 airline partners, and 40,000 hotel properties. The team supports multiple technology functions, including product development, enterprise data and analytics and operations research efforts, while providing customer care and support, implementation and consulting services, and delivering leading products and solutions to Sabre customers globally.